Aiden & Grace has an amazing 5,000 sf. showroom in the unique and industrial Fortner complex in Downtown Columbus. Surrounded by beautiful upholstered furniture and styled lounges, the center space is perfect for workshops and editorial shoots. 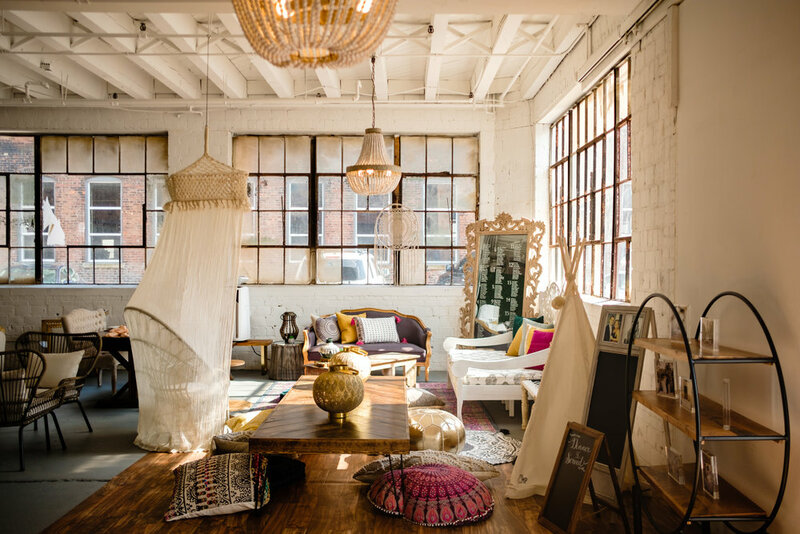 The space features bright white walls and gorgeous natural-light from walls of industrial windows that makes it perfect for any Pinterest-worthy photoshoot or workshop! Rate includes the use of any of our unrented inventory on the day of your shoot.